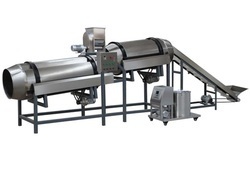 Our product range includes a wide range of electric operated murmura processing line, gas operated murmura processing line, poha making plant, puffed rice roasting machine, flaking machine and electric murmura processing line. Proveg is the first company in India, who are Specialist of making Electric Muri/murmura/kurmura Making Machines with following details. 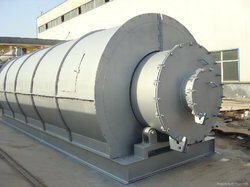 Compact GMP Roaster for muri/Mamra/ Murmura making (Electric /Gas/ Coalfired): for use in factory internal and export quality plants only. This murmura production line is gas operated which gives quality product. The quality and efficiency of our product can be measured by the great quantity of production given by our machine of the best quality. Ease in Operation with great after sale service and proper instruction given, it makes operation simpler. We are a prominent and a strong player in the Indian market as well as abroad. We have been a continuous supplier of food processing machines to different Countries under the Brand name of PROVEN for past several years. Space required for installation 40" x 35"
By keeping track of the latest developments, we are offering a wide range of Rice Puff Making Machine( Muri/ Murmura). The offered machine is developed by utilizing best quality material and sophisticated technology keeping in mind market standards. 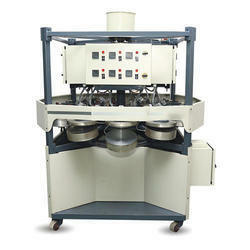 We provide this machine on varied specifications to choose from. 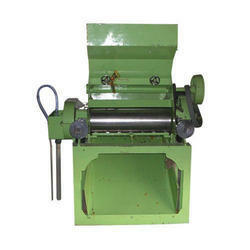 Offered machine is highly efficient and fast in its working. After heat treatment, the alloy steel roller surface is corruptible, and not sticky. 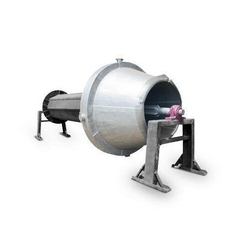 Flow- guiding discharger guides the granular materials to the rollers smoothly without sticky. Adjustable clearance and speed of two rollers make different thickness and capacity. It is used for making rice puff/murmura/mamra based on electricity. We are offering Murmura Roaster to our client. 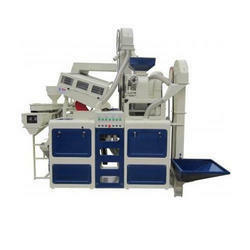 We are manufacturer of Automatic Rice Puff Making Plant. 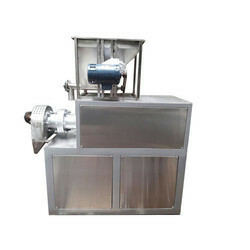 Rice Processing Line uses rice powder, corn powder as the main raw material, and some other vitamin and mineral material can be chosen as the products required. The material is extruded into rice shape by the single-screw extruder, and dried to needed moisture content, and eaten after boiled 5-8min. The extruding technique makes it possible to strengthen the micronutrient in the rice and solidify it. We are offering Coal and Bhusa Operated Murmura Processing Line (50-70kg/hr) to our client. 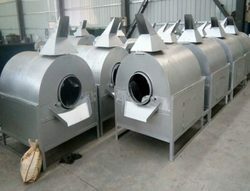 We are the manuafcturer of Coal and Bhusa Operated Murmura Roaster. Looking for Murmura Production Machine ?